I still remember the first day at college like it was yesterday (it has been a few years). The environment was fun and the books were expensive. The last thing I needed to hear was the fact that all students needed a graphing calculator for Calculus I class. Some colleges are good enough to provide their students with these tools. In other colleges, you are on your own. Graphing calculators are not necessarily cheap, and if you are not into math, you may not need them beyond your math classes. 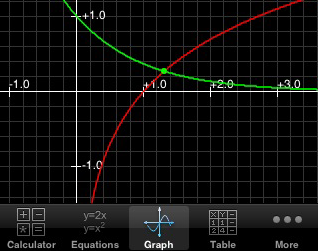 That’s why Graphing Calculator app for iPhone is so handy. It turns your iPhone or iPod Touch into a mini graphing calculator and helps you take your math to the next level. This is essentially two apps fit into one. Graphing calculator is a function plotter and scientific calculator. 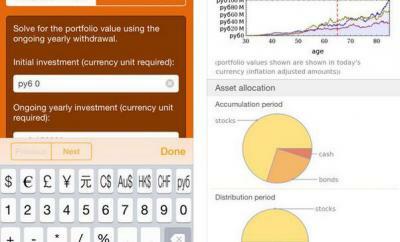 It enables you to plot multiple functions on your iPhone fast. That comes in handy if you are looking for those intersection points or are dealing with crazy math problems. I also liked the custom keyboard as it does save time. 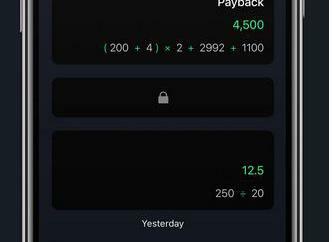 You can zoom on your graphs and even take screenshots of them. Great to share your graphs with your friends and peers. 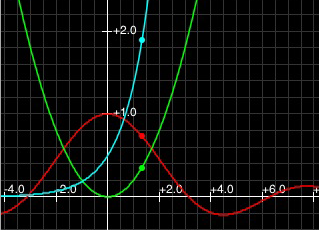 The app not only supports basic equations but it can plot polar ad parametric equations (which you will have to deal with in Calculus at some point). Log, trigonometric, and root functions are supported as well. The iPhone has revolutionized many industries and the graphing calculator business doesn’t seem immune to the iPhone effect either. 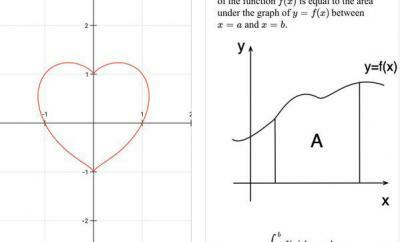 Apps such as Graphing Calculator certainly make life easier for students and math lovers. Considering that Graphing Calculator is much more affordable than those TI units, it’s well worth a try.